We met him last week featuring on A*M*E's new single, City Lights, and we've met his brother, MNEK several times here before. Today, we are proud to present 18 year-old Lewisham resident Chimezie Bartholomew Emenike, AKA Bartoven. This rapper, writer, producer and director is the third part of the teenage trifecta that are fast becoming the most interesting thing on the scene. Citing influence from Dizzee, Kanye, Jay-Z, Dot Rotten and his brother MNEK, we catch up with the wonderkid to find out what's next. Firstly, the name, please explain. Word to Beethoven and all that! You've been about for a little while now, but it seems like things are starting to build. How has that happened? I reckon it happened though tiny power moves and the important people that I bugged on the net (laughs). Two years ago, I did a random feature on a friend's song and it ended up on Popjustice's song of the day as well as opening for N-Dubz, G-FrSH, Griminal and Skepta. Last year I supported the likes of Pro Green and Aloe Black as well as releasing two EPs, my first single and consistent music through my Youtube channel. This year, I ended up on Popjustice again for a feature I did and so I reckon that pace picked up as years went by, and also word of mouth goes a long way too. You wouldn't believe the amount of people that were directed to my music through their friends making noise, I'm too grateful. You come from a musical family (MNEK) but also strict parents. How are your family coping with two musicians in the household? It's hell, there's arguments everyday about it, but I'll be addressing that whole African child expectation saga in my music throughout this year (laughs). 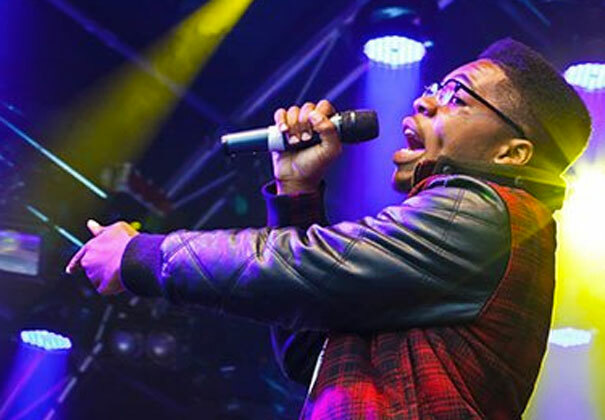 A*M*E, MNEK and yourself seem to be quite the musical family. Why does it work so well with you guys? Describe your music in 6 words. Urban Alternative Unplanned Melodic Merssshh (slightly commercial) Marmite. Talk us through the ace new video Above The Law and also the lyrics featuring you as a big ole cheat! In the video, I find myself trapped in a never-ending cycle of falling for the same girl and never connecting the dots in terms of why I've ended up in the boot three times. So it's a portrayal of a cheat that never learns despite Karma hitting hard three times in a row - with the same person for that matter! What's the toughest decision you've had to make? Dropping out of college to focus on music more, my parents are still furious until this day, but I'm so sure of myself now that it's a tough decision I don't regret making. What's the toughest things about being Bart? This year, I have got plenty more singles to release and also a May mixtape called The Raggedy Tape which will have features from Joe Black, Cashtastic, Benny Banks, Young Mad B and many more. I don't like planning or predicting my year much, I love surprises! There's a whole load of rappers/ directors/ producers/ talent out there. What makes Bartoven stand out from the rest? I look at my songs like art, when I produce and vocal a song, I don't have a certain structure I use everytime because I mix and match and experiment with sounds. Essentially when people hear my songs they know it's me, but in terms of standing out, I don't know anyone else on the up who creatively handles practically everything in their music career, from instrumentals, to visuals, to online presence and image.